The Blue Ridge Parkway Association sends a newsletter out twice a year to thousands of AAA offices throughout the USA and Canada. Travel counselors in those offices use this information to guide their customers to exciting destinations. 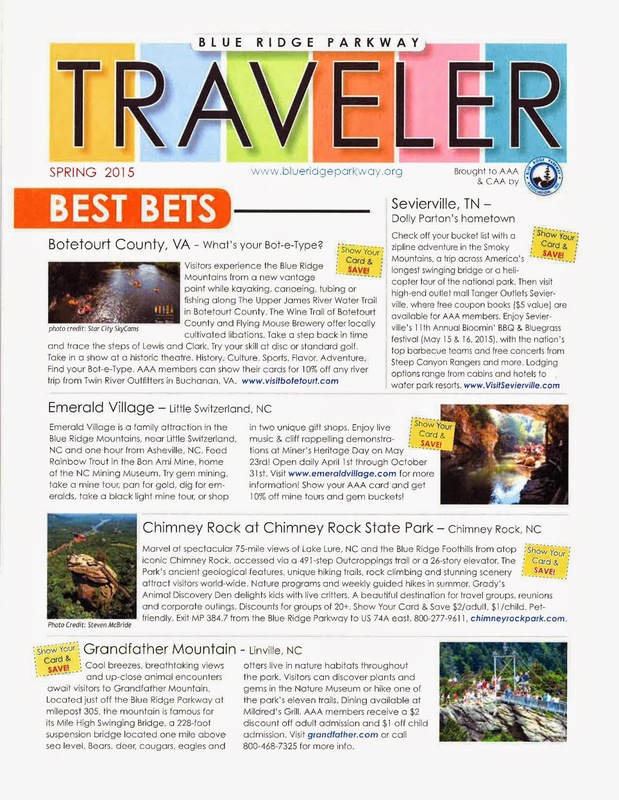 Emerald Village in Little Switzerland is proud to be featured on the first page of the Spring/Summer issue.